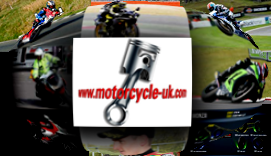 Motorcycle UK are the proud owners of Motorcycle Dealer are we would love to hear from Motorcycle Shops looking to advertise! There are many hundreds of motorcycle dealers from large car style franchises on out of town trading estates, to the more traditional town centre motorcycle dealerships. There are also certain service and performance specialists such as Dyno Centres and a recent phenomena- those that sell accessories only such as Hein Gericke, who aren’t a motorcycle shop at all in the pure sense of the word but offer clothing and accessories for every taste.